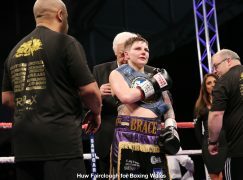 Clydach Vale’s Liam ‘The Machine’ Williams (14-0-1, 9KO) has confirmed that he will make a long awaited homecoming on Saturday 16 July. The super-welterweight will defend his British and Commonwealth titles at the new multimillion pound Ice Arena Wales venue in Cardiff Bay, broadcast live on specialist outlet BoxNation (Sky Ch. 437). 24-year-old Williams will take on London’s undefeated Gary Corcoran (15-0, 6KO) to headline a televised show for the first time ever, something he was meant to do in February until Nav Mansouri’s last minute injury and withdrawal. The fight will take place six weeks after Williams’ sixth consecutive knockout win. On Saturday, the Welshman dismissed of Argentina’s Gustavo Alberto Sanchez (12-13-2, 2KO) in three rounds, twice putting the visitor down at the Echo Arena in Liverpool. Looking ahead to the event, Williams said: “I think it’s going to be amazing. People are going to turn out in numbers and we’ll give it a big push. As long as it does well, they’re going to keep coming back to Wales. It’s going to be a massive reception and lots of people there on the night. Corcoran is currently ranked fifth in the world by the WBO, whose champion Liam Smith (22-0-1, 12KO) is under the same promotional banner, and holds the Inter-Continental title after widely out-scoring Bristol’s Danny Butler in March. The contender turned professional two weeks before Williams but while he has moved up from welterweight, Williams has moved south from middleweight. Corcoran has enjoyed a solid recent run of form, taking the unbeaten records of Rick Godding and Rick Skelton in 2015. Observing his opponent, Williams said: “I think he’s a really good fighter. He comes forward, throws a lot of punches, he’s got a high work rate but I think that only takes you so far. At the end of the day, he hasn’t boxed anyone who can hurt him yet but when he keeps walking towards me and I’m landing big shots, I’m pretty sure he’s going to get disheartened and stop charging forward. I believe he’s good but I think I’m a level above him. Only time’s going to tell and we’ll soon see. “I think it will [be the fight to show his counter-punching skills], at least for the first couple of rounds. He’s going to keep coming and coming, he’s a tough boy with a lot of heart but I think it will give me more chances to show my skills, show people another side of my game. The British Boxing Board of Board of Control (BBBoC) had announced that Ahmet Patterson (17-0, 7KO) was mandatory challenger for the 154lb strap following a sixth round knockout of Ryan Aston to win the IBF International title in January. The two teams agreed terms before the purse bid deadline but the stylish switch-hitter is understood to have withdrawn due to undisclosed personal problems. It is the first time that International Hall of Fame entrant Frank Warren has promoted a show in Wales since Nathan Cleverly lost his WBO world light-heavyweight title against Russian star Sergey Kovalev in August 2013. On that night, Williams pounded the ribs of once-beaten Darren Codona in a shut-out eight round rout. Since then, Williams has toured Germany, London, Liverpool and Manchester for nearly three years and the public demand has grown for an occasion closer to home. “Obviously we have Lee Selby [IBF world featherweight champion] but he’s at that sort of stage now where he’s doing bigger shows elsewhere,” assessed Williams, who aims to become a flag bearer for Wales. “I could definitely be the one to start bringing big shows back to Wales. The Ice Arena Wales is home to ice hockey team Cardiff Devils and hosted its first boxing event in May when Bristol’s Lee Haskins defended his IBF world bantamweight title on a Cyclone Promotions show, live on terrestrial television station Channel 5. It marked a return of big time boxing to Wales and wet Williams’ appetite as he watched on from ringside, picturing himself as main attraction. He said: “I thought it was a very good arena, a good set up. It’s perfect for us really, it holds just under 4,000 people. It’s a good place and hopefully we can pack it out, get a really good atmosphere there. A series of inactive spells due to a number of unavoidable reasons have stalled Williams’ career so much that he’s experienced just six minutes of action in the last 18 months. However, with an injection of momentum imminent, he’s mindful not to get carried away and to stay mature. 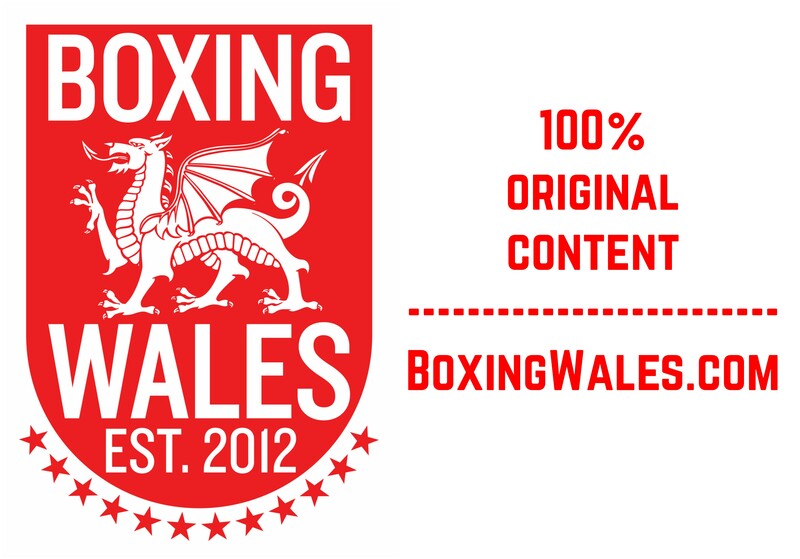 There are murmurings that Guillermo Rigondeaux, one of the world’s greatest amateur and professional boxers ever, will appear on the undercard, which will definitely feature Craig Evans, Maerdy’s Alex ‘Bad News’ Hughes, Pontyberem’s Zack Davies and Swansea’s Jay Harris. On the same night, Merthyr Tydfil’s Kerry Hope (23-7, 2KO) will also attempt to gain a world ranking with the WBO. The former European champion, who is based in Australia, will move up to super-middleweight to fight Indian superstar Vejinder Singh (6-0, 6KO) for the vacant WBO Asian Pacific title in Delhi.